Miss Northern B.C. Navneet Kaur earned the National Canadian Miss British Columbia title in July. Some people think being born and raised in small towns is limiting, but not Navneet Kaur. The sky is the limit for the nineteen-year-old Prince Rupert native, whose ambitions have taken her to the top of national pageants and even to Europe for a political trip. Kaur, who was crowned Miss Northern B.C. from 2015-2016, added to her resumé by being named National Canadian Miss British Columbia in July. The honours are nice, but she isn’t concerned with accolades. “I now have this platform to make what I want for it. For the year of my reign, a lot of it was about service and helping other people. A big part of my platform is women and girls empowerment,” said Kaur. The women were marked on a number of different categories, including an interview, an opening number dance, their choice of formal evening gown and behaviour throughout the week. Not only was she crowned the top British Columbia competitor, but she came runner-up to being named National Canadian Miss. She has also been asked to participate in the 2017 Miss Canada pageant, which is the main Canadian event. As Kaur explains it, if you win this one, you get the right to say that you are the official Miss Canada. 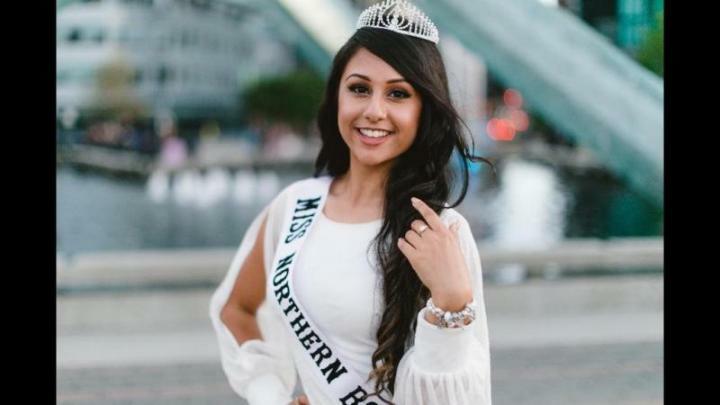 Kaur was asked to participate in the 2016 event, but declined because she wanted to get the full experience of being Miss Northern B.C. She plans to decide within the next few weeks if she will compete in the 2017 pageant. She said she definitely wants to, but it may conflict with her school schedule at Simon Fraser University, where she is studying business. But she spent the year doing more than just winning B.C.’s crown at a national pageant. She was also selected to represent Canada in the International Forum of the European Youth Parliament in Serbia, an experience she called life-changing. “It was just so amazing because I was sitting in a room with individuals from all across Europe and Central Asia. I felt like so much of the world was meeting in one place,” she said. The main issue Kaur and her committee tackled in the parliament was the rights of female refugees and how to protect them as they journey to a different country and after they arrive. The topics discussed made for a sombre time, but also a learning experience. One of the main things Kaur has learned through the last couple of years is that you never know how much you can achieve. The opportunities she has gotten were as easy as applying. Being raised in a remote, coastal city didn’t hold her back, but it gave her a different perspective that she values.